I actually set out to write about the Chancellor grape a few weeks ago, but in the course of researching that post, I found out that a wine that I had that I thought was made from Chancellor grapes actually turned out to be made from the Kanzler grape (among others). Luckily that wasn't the only wine made from the Chancellor grape that I had in my cellar, so today we're still able to take a look at the grape and to take a look at a stylistically unusual wine made from it. Chancellor is a hybrid grape that was created by our old friend Albert Seibel, who, among his 16,000 grape creations, also created the Verdelet grape we took a look at a few months back. Those interested in Seibel's life and work are advised to click on the Verdelet link, as I went into some detail about him there and don't plan to repeat most of it here. Seibel created Chancellor around the 1860's and named it Seibel 7053. S 7053 was the offspring of two other Seibel crossings, Seibel 5163 and Seibel 880. I've written a few times about how hybrid grapes are named, but Chancellor offers a unique opportunity to really see the process. As I've mentioned before, nearly all of the hybridizers who were working in France in the mid to late 19th Century only named their grape creations with their own last name and a number. These grapes typically retain these names until they start to gain some acceptance as viable commercial crops, and then someone, usually a body in the area where the grape is gaining prominence, names the grape in order to make it appealing and memorable to consumers. Seibel 7053 is not only an unenticing name, but also would get very confusing if there were 10 different Seibel grapes available with only a three, four or even five digit number differentiating their names Do I want Seibel 7053 or Seibel 7063? As mentioned above, Chancellor was created in the 1860's in France and was, at one time, the most widely planted hybrid in France, but it was never really used to produce commercial wines, and so was never given a proper name. It was introduced into the US in the 1940's and into Canada in 1946. It became an important grape in some of the cooler regions of the US and Canada, such as the Finger Lakes region of New York. In 1970, the Finger Lakes Wine Growers Association decided to rename Seibel 7053 Chancellor, and that name has stuck ever since. The letter proclaiming Chancellor's new name can be viewed here, and it is interesting to see that this is also the same letter that gave Vignoles its current name. It is also interesting to note that the names given in these circumstances don't always take. Seibel 9549 is given the name Cameo by the Growers Association, but that grape is currently better known as DeChaunac. 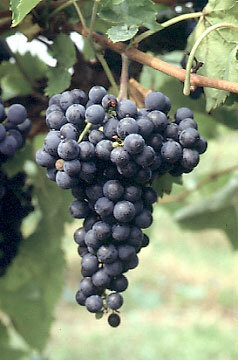 Chancellor is considered to be one of the finest French hybrid vines for wine production. It is considered cold-hardy, but does have an early bud break that can be a problem in areas with late spring frosts. The vine is also susceptible to a handful of vine disesases, but it is thought that its susceptibility to both downy and powdery mildew has limited its plantings, especially in damp, humid areas like the eastern United States. Chancellor is the grandparent to Noiret, a grape we took a look at a few months back that is generating some excitement as a promising new hybrid grape. I had expected to be able to find a table wine made from the Chancellor grape during my trip to the Finger Lakes last summer, but ultimately was unable to do so. The wine that I do have is from a winery in Rhode Island called Sakonnet, which is located about 45 minutes south of my home and just a few minutes outside of Newport, RI. It is interesting in that it is a sweet fortified wine made in a Port style, rather than a table wine style, which is not something that very many people are trying to do with the grape. I picked up this half-bottle of the 2007 Chancellor port for $25 at the winery. In the glass the wine was an inky, opaque purple-black color with a narrow crimson rim. The nose was fairly intense with aromas of raisins, dried blueberries and dried figs. On the palate the wine was on the fuller side of medium with medium acidity and high alcohol. It was medium sweet with velvety dried blueberry, blackberry jam, prune, raisin and fig flavors. I've tried this wine on a few different occasions and have found nearly every time that the alcohol is excessively prominent and the wine burns as you drink it. Most fortified wines taste a little hot, but the high alcohol is generally carried pretty well and balanced by the ripe, sweet fruits, but the alcohol in this wine is really out of balance. The wine is pretty tasty overall and is definitely interesting, but it is a bit pricey and has some obvious flaws as well. Today marks Fringe Wines' 13th foray into the region of Piemonte in northern Italy, tying it with the Finger Lakes for the most written about region on this blog. What's really interesting to me about that is that all of the wines that I've written about from the Finger Lakes were things that I picked up while visiting that region, while all of the wines from Piemonte that I've written about were purchased at stores in the Boston area. I've written more posts about wines from Piemonte than from the entire countries of Greece, Portugal and Austria, and posts about wines from Piemonte account for 1/6th of all of my posts on Italian wines in general. The point I'm trying to make is that there are a lot of really interesting and really amazing wines being made in this particular corner of Italy and if you had to choose only one region to drink from for the rest of your life, Piemonte would be a pretty solid choice. 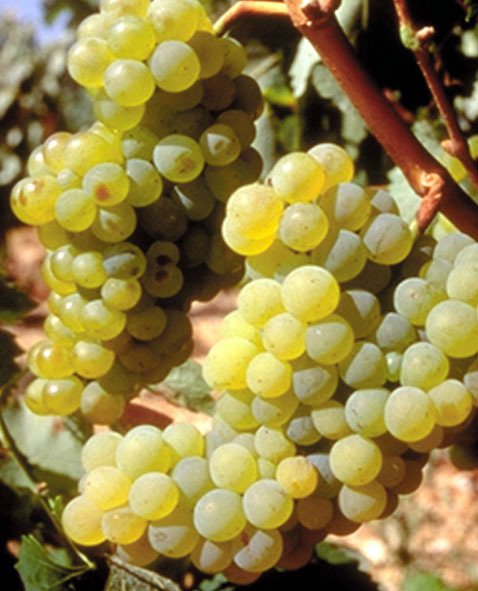 All of which brings us to today's grape, Timorasso. Timorasso's story reads like that of many other grapes we've looked at around here (like Pugnitello, Roscetto, Pecorino, Casetta, etc): there's this grape that's native to a particular region where it has some historical significance, but it falls from favor and nearly goes extinct, only to be ultimately resurrected through the efforts of one man/winery. In Timorasso's case, it is generally thought to be native to the Alessandria region of Piemonte, which is in the southeastern corner of Piemonte, bordering Liguria to the south, Lombardia to the east, and just touching Emilia-Romagna to the southeast. More specifically, the grape is grown around the village of Tortona, which is right on the border with Lombardia. It's unclear how long the grape has been known in the region, as most sources indicate only that the grape has been grown there "since ancient times." One source indicates that in an 1885 publication, it was listed as "among the most cultivated white grapes used to produce wine but also the fruit, together with Cortese," which is a direct quotation, and no, I'm not 100% certain what it's trying to say, but it does seem to indicate that Timorasso was fairly prevalent towards the end of the 19th Century. Phylloxera was first discovered in Italy in 1875, and while it's unclear whether Phylloxera was the first step in Timorasso's fall from prominence, it seems like the most probable explanation. Timorasso is (and was) known for being difficult to manage in the vineyard and also for producing fairly low yields, which, together, usually spell certain (or near-certain) doom for a vine. As we've seen time and time again, after vineyard owners found their difficult, low-yielding Timorasso vines decimated by Phylloxera, many of them took the opportunity to plant more user-friendly and productive vines in the louse's aftermath. Many turned to grapes like Cortese or Barebera and only a few growers elected to replant Timorasso. As the 20th Century advanced, wines made from Cortese or from Arneis or Barbera began to attract an international audience and so more and more Timorasso vines were pulled up and replanted to these varieties that were now not only more productive, but easier to sell as well. By the 1980's, there were very few vines of Timorasso remaining and the grape was virtually forgotten not only on the international stage, but even in the area around its native home. Some of the straggler vines were in the vineyard holdings of Walter Massa, whose family had been growing grapes and making wine for generations. Walter recognized the potential of the Timorasso vines on his estate and, in a bold move, decided to plant Timorasso on a prime hillside site on his estate and ultimately vinify it as a varietal wine. His first Timorasso crop was harvested and vinified in 1987. In 1990, he committed more land to the project (for a total of 1.4 hectares) and named the vineyard site Costa del Vento. For the next 8 years, he would harvest his Timorasso crop and make small batches of wine for himself, tasting re-tasting older vintages every so often to get a sense for how best to shepherd the grape from fruit to wine. In 1995, he finally became convinced of the grape's ability to make a quality, age-worthy wine and began to sell it. A handful of other producers in the area took note of what Massa was doing and planted Timorasso themselves. While there isn't exactly a glut of Timorasso in today's marketplace, there are about 200 hectares currently planted throughout the Colli Tortonesi zone in southeastern Piemonte. The bottle that I found was the 2009 Vigneti Massa (Walter Massa's winery), which I picked up from my friends at Federal Wine and Spirits for about $25. The wine is released under the Colli Toronesi DOC (which does, somewhat surprisingly, permit Timorasso), but local producers are pushing for a Timorasso-specific DOC called Derthona, which has either just recently been approved or is close to being approved. Derthona is the name of the town Tortona in the local dialect, and it is also the name given to the Vigneti Massa Timorasso bottling. In the glass the wine was a fairly deep lemon gold color. The nose was moderately intense with ripe apple, pineapple and pear fruits with a pronounced leesy kind of aroma. On the palate the wine was on the fuller side of medium with medium acidity. There were flavors of creamy white pear, ripe apple and pineapple fruit along with vanilla, pie-dough and mint. The wine picks up some cheesy, leesy kinds of notes as it approaches room temperature and doesn't really benefit from their prominence. Overall the wine was smooth, polished and very well made. There are certain characteristics to it that would lead one to think that it might have seen some time in wood, but my understanding is that this is not a barrel fermented wine (some producers do subject their Timorassos to oak ageing, and it seems like the kind of wine that could endure it successfully). It's a good, well priced wine that I'm glad that I tried, but which I probably won't be seeking out at any point in the future. After a very long hiatus, we're back with another installment of Weird Blend Wednesday! Today I'd like to take a look at a wine that has a lot of interesting weird stuff going for it. Not only are the grapes a little bit unusual, but the region and the style of this wine are a little out of the ordinary as well. Channing Daughters winery is located on the south fork of Long Island, which the wealthier among you may know as the Hamptons. For those unfamiliar with the geography of Long Island, the end of the island that is farthest away from New York City (and which is accessible via a short ferry ride from New London, Connecticut) is forked at the end (see a map here). The north fork has historically been dominated by farmland, but over the past few decades, many people have started growing grapes and opening up wineries. There are a few dozen wineries now on the north fork of Long Island making wines of varying quality levels from grapes like Cabernet Franc, Merlot and Chardonnay, among others. The south fork has generally been a resort area for wealthy New Yorkers to keep a summer home, but there are just a handful of wineries, like Channing Daughters, that are located on the south fork of Long Island. Though they're located on the south fork of the island, Channing Daughters sources grapes from all over the eastern end of Long Island, and they bottle wines from each of its three designated AVAs (North Fork, Hamptons, and Long Island). The winery owns plots on both forks and also sources grapes from particular growers all over the island to make their wines, which are as varied and eclectic as I think I've ever seen from a single producer. They have single vineyard wines and multi-vineyard blends, varietal wines and multi-grape blends, wines made from natural yeasts as well as wines made with cultivated yeasts, wines that are fined and filtered and wines that aren't, wines aged in any and every kind of oak barrel as well as wines done in 100% stainless steel. The winery produces about 7000 cases of wine per year which is divided between twenty six different bottlings. The wine that I picked up from them was their 2007 Meditazione, which is a wine made in the style of the "vino de meditazione" of the Friulia region of Italy. This bottle was a blend of 35% Tocai Friulano, 35% Sauvignon Blanc, 13% Muscat Ottonel, 12% Pinot Grigio and 5% Pinot Bianco. Channing Daughters has been making this wine for six years (the 2007 is actually the fourth vintage), and the particulars of it change from year to year. The 2008, for example, was 27% Sauvignon Blanc, 27% Chardonnay, 16% Tocai Friulano, 16% Muscat Ottonel and 14% Pinot Grigio, while the 2009 is 27% Sauvignon Blanc, 6% Chardonnay, 1% Malvasia, 38% Muscat Ottonel, 26% Pinot Bianco and 2% Pinot Grigio. The wine is made in an orange wine style, meaning that the juice is left in contact with the skins for some time after crushing, but even the timing of this varies from year to year. I'm not sure how much time the 2007 spent on the skins, but the 2008 spent 10 days while the 2009 spent 30 days. The wine is typically aged for about 18 months in Slovenian oak prior to bottling. It has been called the greatest white wine in America by at least one prominent sommelier and inspired this comic and post from the always excellent wakawakawinereviews. I picked up my bottle of the 2007 Meditazione from my friends at the Spirited Gourmet for about $30. In the glass the wine was a deep orange-bronze color. The nose was intensely aromatic with peach, orange blossom, honeysuckle, pineapple and lime notes. It had a heady, gorgeous perfume that made it difficult to move on to the step of actually tasting the wine. On the palate the wine was on the fuller side of medium with medium acidity and little bit of tannic grip. I made the mistake of storing this bottle in the refrigerator and initially tried to taste it when it was very cold. In this condition, it was no fun at all to drink, but once I let it come down to room temperature, the palate blossomed with rich apricot, honey and orange peel flavors along with some toasted nuts, flower petals, and sawdust. There was a kind of savory salinity to the wine as well. I wasn't blown away by this at first sip, but by the time I finished the bottle, I was moony-eyed in love with it. I was able to pick up another bottle and drank it recently with some of the guys from the Wine Bottega, and my impressions were pretty similar. This is an amazing, mind-blowing, incredible wine that is worth not only the $30 that I paid for these bottles, but easily worth the $40 that the new vintage is commanding from the winery. I don't know if it's the best wine made in America, but it's definitely one of the most interesting. I'm hoping to drop down to the winery in the next few months and try some of their other wines and chat with the winemaker a bit, so stay tuned for more about these guys and the amazing things that they're doing. I've lamented the lack of sources for Portuguese wine grapes in the past, and unfortunately, the situation hasn't changed very much in the past few months. For all of the interesting grapes that Portugal has, there are very few resources available that discuss them. What literature there is on a lot of the grapes is sparse at best, and non-existent at worst. Today's grape, Viosinho, falls into the sparse category, and as a result, today's post is going to be pretty brief. Viosinho is a white grape grown predominately in the very famous Douro region of Portugal. The Douro is where nearly all of the Port produced in Portugal comes from, and though Viosinho is not one of the grapes used for the production of vintage Ports, it is sometimes used in the production of white port (along with Malvasia Fina and Gouveio/Godello), which is just like Ruby port except that it is made using white grapes rather than red. 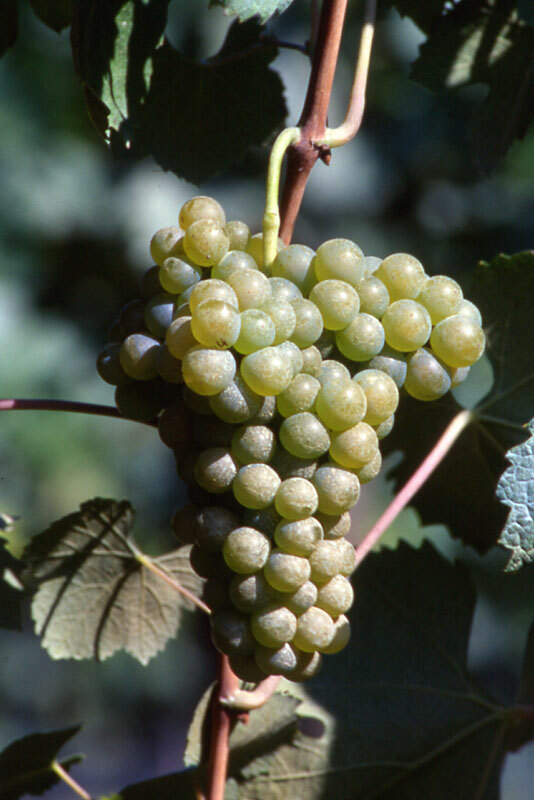 Traditionally, the white grapes were crushed and left on their skins for some time (as in "orange wine" production), but today, many producers are drastically shortening the skin contact or eliminating it altogether in an effort to make lighter, more refreshing white Ports that are a little lower in alcohol as well. The market for fortified wines has fallen dramatically over the last century or so, and Portuguese wine makers have taken note of this trend. More and more table wines are being made in Portugal in general and the Douro in particular as winemakers are finding that table wines sell much more briskly and reliably than fortified wines. Viosinho was often prized in Port production for its ability to retain its acidity in the hot, fast growing season in many parts of the Douro, but not many table wine producers were utilizing the grape in their efforts because it produces only a few bunches of very small grapes, which equates to low yields and thus fewer bottles produced. The vine is also particularly susceptible to a handful of fungal diseases which isn't a problem in many of the hot, dry areas of the Douro, but it does limit the number of sites where it can be grown successfully. Despite these drawbacks a few producers have decided to give it a shot, and the early results seem to be quite promising. Much of the wine produced in Portugal is blended, and today's wine is no exception. The 2008 Quinta de la Rosa is listed as being 60% Viosinha and 40% "other Douro varieties." I picked it up from my friends at Curtis Liquors for about $20. In the glass the wine was a medium silvery lemon color. The nose was moderately intense with poached pear, pastry dough and lemon peel aromas with just something slightly buttery and oaky as well. On the palate the wine was on the fuller side of medium with medium acidity. There were fresh, lemony citrus flavors with some broader cooked pear and red apple fruits as well. The hint of oak persisted on to the palate as well, but it was very well integrated. The wine was surprisingly fresh given its age and probably could survive another few years in the bottle. This isn't exactly my favorite style of wine, but it was well done and represents a good value for those who are looking for an alternative to big, oaky Chardonnays. 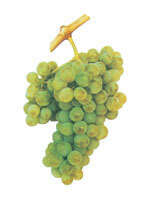 There are a lot of grapes that go by some variation of the word "Greco" in Italy. Searching for "Greco" in the VIVC database returns 61 results, most of which have Greco as a common synonym and not as the prime name (as in the case of our old friends Grechetto, Biancame, Pignoletto and our future friend Maceratino). For the most part, when people refer to a grape as "Greco," they are referring to what is technically known as "Greco Bianco di Tufo," though there is also a Greco Nero and a Greco Bianco di Novara which I believe are related to Greco di Tufo, but I can't really find anything definitive to that effect. Somewhat surprisingly, Greco Nero is actually much more widely planted than the Greco Bianco varieties, covering more than 3,000 hectares to Greco Bianco's 1,000, despite the fact that I don't believe that I've ever seen a wine made from (or even explicitly containing) Greco Nero grapes. Most people believe that the name Greco is used for these grapes because they ultimately can trace their ancestry back to Greece. The story goes that Greco (or its immediate ancestor) was brought to southern Italy via Greece about 2500 years ago. Some people believe that Greco could have been the wine used as the base of the famous "Falernian" wine, which was perhaps the most famous wine of the ancient world, but as mentioned in my post on Falanghina, pretty much every grape grown in southern Italy is purported by someone to have been the primary grape used in that mythical wine. It is notoriously difficult to match ancient descriptions of wines with modern grapes for a lot of really obvious reasons, and it's my suspicion that most of these comparisons are made either by wishful-thinking modern drinkers who are caught up in the grandeur of ancient Rome, or by marketers looking to cash in on those same starry-eyed drinkers (see also my post on Abbuoto for a discussion of the same issue regarding the ancient Roman wine of Cecubo). But is the grape really called Greco because it is ultimately from Greece? Yes, "Greco" means Greek in Italian, but it doesn't necessarily follow that it's named that because the grape itself is of Greek origin. In a paper from 2009 in the American Journal of Enology and Viticulture (full citation below), the authors indicate that in the Middle Ages, the word greco was used as an adjective to describe wines that were high in alcohol, sweet, and particularly long-lived. This description could have been applied because the style of the wine was Greek, not because the grape itself was Greek. It's easy to how, over time, the grape used primarily in the production of a wine called Greco might itself eventually come to be called Greco too. Over still more time, people may have forgotten the original source for the name and invented the very plausible sounding Greek-origin story to account for it. I don't know if that explanation is true or not, but it makes at least as much sense to me as the Greek origin story, and as far as I know, there is no vine in Greece today that resembles Greco di Tufo, or that has been proven to be genetically related to it. Greco di Tufo has been shown to be genetically identical to at least one other prominent(ish) southern Italian grape, though. 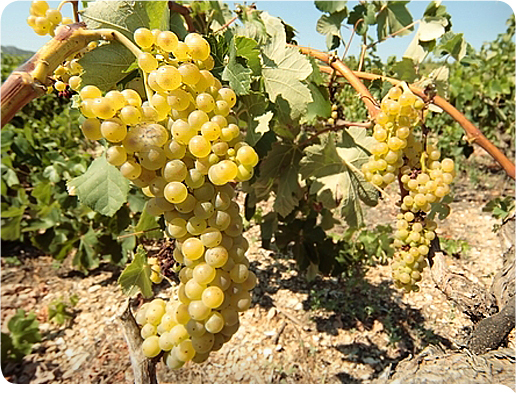 The researchers in this study proved that Greco di Tufo was the very same grape as Asprinio, a grape that is cultivated mostly around the town of Aversa in Campania. Rather than being grown in rows on man-made trellises, as most grapes are, Asprinio vines are trained up local popular trees and then across wires that are tied between each tree (you can see a picture and read a bit more about the process here). The vines can be quite high, and harvest often requires the use of a ladder for the picker. The wines are often made in a slightly spritzy style, though there are also still versions. I've only ever come across one bottle of Asprinio di Aversa, but it was sealed with a synthetic cork and had completely oxidized in the bottle (it was five years old and so probably past its prime anyway, but the cork failure rapidly accelerated this process and made the wine completely undrinkable). Asprinio and Greco Bianco are still listed as separate varieties by the Italian authorities (as in the case of Pigato, Favorita and Vermentino), but the DNA evidence pretty clearly indicates that they're the same thing. I was able to find a Greco di Tufo wine, though, that was in much better shape. There are a handful of Greco-based wines available in the Boston area, and I suspect that it's one of the more accessible grapes that we've covered here. The wine I elected to try was the 2009 Terredora di Paolo Greco di Tufo which I picked up from my friends at Curtis Liquors for around $20. In the glass the wine was a fairly deep lemon gold color. The nose was reserved with some white pear and apple, but very little else. On the palate the wine was medium bodied with fairly high acid. It was very lemony with some flavors of pineapple and green apple as well, but with a bitter, pithy finish to it. The wine was tart, racy and lithe and was really a lot of fun to drink until the finish rolled around. This wine is a bit pricey for what you get, and there are a handful of other examples that retail for a few dollars less than this one, so if you're looking for a light, zippy, lemony white for summertime and come across one of those, give it a shot. Muganu, M., Dangl, G., Aradhya, M., Frediani, M., Scossa, A., & Stover, E. 2009. Ampelographic and DNA characterization of local grapevine accessions of the Tuscia area (Latium, Italy). American Journal of Enology and Viticulture. 60(1): 110-115. 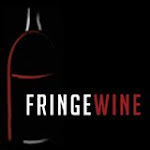 Hello everyone, and welcome to another edition of Fringe Wine trivia! Today's question is: what is the mostly widely planted grape in Greece? We've taken a look at quite a few native Greek varieties here, from Assyrtiko to Xinomavro, but none of them hold the title of most planted grape in all of Greece. That honor falls to the Savatiano grape, which is planted on about 50,000 acres of land throughout the country. This may come as a surprise to many people, because it can be very difficult to find wines made from the Savatiano grape. Most wine shops in my neck of the woods are starting to carry at least one Assyrtiko based wine and one Agiorgitiko, but Savatiano-based wines are much more difficult to come by. If these wines are so hard to find, then how is it that Savatiano is planted on so much land in Greece? The answer can be summed up in one word: Retsina. Retsina is a peculiarly Greek phenomenon that most people either love or hate. For those not familiar, Retsina is made by introducing pieces of wood from the Pinus helepensis pine tree to the grape must as it ferments. The resin from the bits of wood is leached into the wine, giving it a very pronounced piney aroma and flavor that, to put it politely, is something of an acquired taste. Modern Retsinas all have the pine flavor added intentionally as a flavoring component, but it hasn't always been that way. Several thousand years ago, wines were stored in clay jars and if you had a jar full of wine, you essentially had to drink it very quickly before the exposure to oxygen completely ruined it. In an effort to keep air out of the jars and allow the wines to age for longer periods of time, some people began to seal them with pine resin, which was successful in keeping oxygen at bay, but which also had a tendency to lend its own flavors to the stored wines. In the third century AD, the Romans developed the use of barrels for storing wine, which eliminated the oxidation problem and made resin-sealed jars obsolete, but some people had grown particularly attached to the pine-flavors that resin-sealed containers imparted. Most of these areas were in the eastern part of the Roman empire, around Byzantium and Greece, and that tradition has stayed alive to the present day. 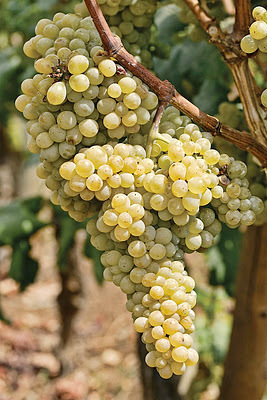 Savatiano is the most commonly used grape for Retsina production, but since it is naturally low in acid, it is often bolstered by other high-acid white Greek grapes like Assyrtiko for better balance. Savatiano is the grape of choice not because of the quality of the finished product, but rather because it is extraordinarily resistant to drought conditions, which can be severe in some regions of Greece. The region of Attica (which encompasses the peninsula around the city of Athens), where most Savatiano is grown has long, dry summers with very little rainfall. It is not quite as arid as the desert conditions on the island of Santorini, but during the summer months, precipitation averages from around a tenth of an inch to less than half an inch between June and September, and many areas only average about 14 inches of rain per year. Savatiano not only endures in these conditions, but thrives in them. Most of the Savatiano grown in Greece goes into Retsina production, but there are some who make regular, non-resinated table wines from the grape as well. I was able to try two different bottles, the first of which was from the horrendously named "My Big Fat Greek Wine," which was apparently started up by the founder of Hellas imports, which I believe operates out of Brookline, MA, where I lived for about a decade. This wine is made in the Peloponnese, just west of Attica, which was this historic home to the Spartans. I picked up the 2009 version of this wine for about $11. In the glass the wine was a fairly deep lemon gold color. The nose was moderately intense with tropical banana and pineapple aromas and a touch of white pear. On the palate the wine was medium bodied with medium acidity. There were some ripe apple, banana, pear and lemon fruits, but overall the wine was pretty bland. It had a kind of banana candy flavor to it that I wasn't a big fan of, and when you couple that with the lackluster acidity and the cutesy name, you've got a recipe for a wine I'm not going to like. The second wine that I tried was the 2009 Harlaftis White Savatiano from Attica. I picked this up from my friends at the Spirited Gourmet on closeout for about $9. In the glass this wine was a pale silvery lemon color with a slight greenish tint. The nose was somewhat reserved with clean, fresh aromas of white pear and ripe apple. On the palate the wine was on the lighter side of medium with fairly low acidity. There were flavors of white pear, watered-down peach and ripe apple with a touch of banana and melon on the finish. There was a nice mix of white and tropical fruits, but again, the acidity was just too low for my tastes. It was broad, fat, and boring with an unpleasant bitter tinge to the finish. Given the range of really interesting white wines from Greece, like Moschofilero or Assyrtiko, it's hard to recommend these wines to anyone. They're relatively inexpensive, but they're not really even interesting enough to warrant their meager price tags. I had high hopes that today's grape would lead me into some interesting research. There are a handful of grapes with names similar to Petit Courbu, and there are suggestions in a few different sources that these grapes may all be related. These other grapes are things that we've taken a look at here before, and I was really hoping that this grape could maybe pull a lot of those different threads together, but it just doesn't look like it's going to work out that way. (Vitis vinifera L.) Cultivars from Argentina, Italy, and France" (full citation below). In that paper, the researchers show definitively that Argentine Bonarda is the same as the french grape Corbeau, which they note is the same as the grape grown in California as Charbono. The paper goes on to say "DNA profiles of synonymous varieties of Corbeau (Courbu, Courbu noir, and Petit Courbu) from Montpellier vines also matched Charbono." I was excited because that sentence seems to suggest that the DNA for Petit Courbu and Charbono were the same, which would make Petit Courbu a mutation of Charbono. Further, the DNA of those grapes also matched Courbu, which I was reading as Courbu Blanc, the grape that we discovered was the same as the Hondarrabi Zuri of Spain. It was starting to look like all my favorite grape capers might not only be related, but might all ultimately be the same grape! "Charbono– Anna Schneider from Italy told us some time ago that the FPMS vines labeled Charbono are not the same variety as Charbono in Italy. Jean-Michel Boursiquot agreed and thought they were probably an old variety called Corbeau. One of Corbeau’s many synonyms is Charbonneau. We compared all six FPMS Charbono selections to DNA profiles in our database from Montpellier vines of Corbeau, Courbu, Courbu noir and Petit Courbu. Boursiquot was right—the FPMS Charbono matched the DNA profile of Corbeau but not that of the others. Contrary to Galet’s opinion, we found that Corbeau is not the same as Dolcetto." This paragraph makes it abundantly clear that not only are Charbono and Corbeau genetically identical, but they're also genetically distinct from Courbu, Courbu Noir and Petit Courbu. The implication is that these latter three grapes are also genetically distinct from one another, but that point isn't made explicit. There is also no further explanation as to whether any of the grapes were related to one another in anyway other than linguistically. Wikipedia discusses Petit Courbu, Courbu Blanc and Courbu Noir together in a single entry labeled as "Courbu," and states that the varieties are different, but related, but gives no source for this claim. The Oxford Companion to Wine does not make any mention of a relationship between the two grapes, but does note their viticultural similarity, as does Wine-Searcher.com. Both of those sources reference Pierre Galet's opinion on the two vines and both note that the main feature that differentiates them is the darker color that Courbu Blanc's leaves have. I found some pictures and descriptions of each vine from the French Institute of Vine and Wine's (IFV) Southwest France outpost, and it looks to me like there's a lot more difference between the two vines that just leaf color. The shape of Petit Courbu's leaves is much different than that of Courbu Blanc, and the grape bunches look very different as well. I am, admittedly, not an ampelographer, but the differences on those two pages are pretty striking to me. I searched high and low for any information on the genetic profile of the two grapes, but was unable to find anything. So now that we've established what we don't know about Petit Courbu, let's take a look at what we do know. The grape is found mostly in southwest France, where it is thought to be native, and covers about 66 hectares of land there. It's also grown just over the border in the Basque region of Spain where it finds its way into some Txakoli blends under the name Hondarrabi Zuri Zerratie. The vine produces relatively small bunches of relatively small grapes that are apparently very susceptible to botrytis. It is typically used as a blending grape in SW France along with Gros Manseng, Petit Manseng and Arrufiac, where it is prized for the body, perfume and richness that it can contribute to a blend. A few months ago, I took part in a virtual tasting of wines from southwest France and one of the bottles that they sent to me was the 2008 Chateau Montus. My tasting note was initially published in my post on that tasting, but is also included below. I was also able to find the 2008 Brana "i Lori" from the Irouleguy region of southwest France. This wine was 50% Petit Courbu and 50% Gros Manseng, and I picked it up from my friends at the Wine Bottega for about $20. In the glass this wine was a fairly deep lemon gold color. The nose was reserved with aromas of pears, honey, pineapple, lemon and lemon peel. On the palate the wine was medium bodied with high acidity. There were flavors of lemon, grapefruit, lemon peel and honey with a touch of grassy herbaceousness to it. At fridge temperature, this was lean and sharp and the acidity had a hard, searing kind of edge to it. As it approached room temperature the fruits rounded out a bit more and the flavor palate became a little more forgiving. It was still tart and very lemony, but its edges were softened up a bit. Make no mistake, though, this is a very high acid wine so if you're looking for a California Chardonnay substitute, stay very far away from this wine. Acid freaks will find a lot to love here but other drinkers may find it a bit too harsh and austere. A few months ago, I wrote a post about the Emerald Riesling grape, which was created by Dr. Harold Olmo at UC Davis and released to the public in the 1940's. In that post, I wrote that the parentage given for Emerald Riesling by Dr. Olmo and by virtually every other source online was Muscadelle x Riesling. Only one source that I could find dissented from this view: the online version of the Oxford Companion to Wine listed the grape's parentage as Muscadelle x Grenache. book or is this a mistake? "Muscadelle x Riesling is wrong but you will have to wait for the grape book for the full story. We can't give you all our scoops!" "I would be fine with this if I wasn't already paying (dearly and annually, I might add) for the electronic version of the OCW, which they are coyly updating on the fly as they find new information, whether it is correct or not. If I were paying for an online version of the book I also have on my shelf at home, that's one thing, as static reference materials go out of date all the time. But since they are updating the work online, it doesn't seem unreasonable to ask for clarification on a matter where the information that they are printing is in opposition to every other resource currently available, including a written statement from the man who created the grape himself. The OCW is a valuable resource, but they're not infallible, as I hope I've shown in this post. If you are going to charge people for access to information, I feel that you should be prepared to justify that information if asked and should not point them to another place where they can give you more money for the whole story. If you're willing to publish part of the story in the OCW and take people's money for it, you should be willing to publish the whole story instead of using premium content as a teaser for more premium content." I was annoyed at the time, but after this weekend, I'm legitimately angry. I had been working under the assumption that the new parentage for Emerald Riesling was something that the editorial group had discovered in doing their own private analyses. Dr. Vouillamoz was the curator for several years of the Swiss Vitis Microsatellite Database and in some of my prior email correspondences he had referenced data held within this database. I was assuming that Dr. Vouillamoz or someone affiliated with the OCW had conducted the parentage analysis on Emerald Riesling based on some of his own data, and that rather than publish the data through scientific journals, they were electing to publish it in the new book due out later this year. I wasn't thrilled about this particular arrangement, but if it was their own original research, they're free to do with it what they will and if they elect to sell it rather than make it available for other scientists, researchers, and general enthusiasts that's their own prerogative. with what would be expected from the other parent. While I was unable to find this during the course of my research (this article is a PDF and I'm not sure how well Google is able to search inside PDF documents online), it is available for free online through the UC Davis website. Now, I can't prove that this is the source that the OCW was using (UPDATE - it is, as cited in their new book Wine Grapes, which I've reviewed here), and I can't prove that they didn't happen to stumble across the correct parentage for Emerald Riesling on their own and that this line of research is what they are using to justify their entry. I can say that the second explanation there seems very unlikely to me and that this whole situation has made me angry for a handful of reasons. 1) The first reason is the same reason that I listed above. The online version of the OCW is updating their entries on the fly as new information is made available, which I am fully supportive of, so long as the sources are good and the new information is reliable. The problem that I have is in their unwillingness to provide information about these sources when pressed. If you are charging people so that they can access your reference material, you should have to provide some justification of that material when asked. The entries really should have references within them anyway, but short of that, if a reader challenges an entry, that reader is entitled to a justification beyond "you're wrong." 2) The form of that justification cannot be an invitation to purchase another extravagantly expensive reference material from you which you swear will be adequately annotated and will contain all the answers that I'm currently asking for. I paid for my initial subscription to the OCW with the expectation that the content is good and factually accurate. After I've found an error in one of your posts, it's reasonable for me to doubt other things that you've published without providing any kind of backup. Inviting me to purchase more of your reference materials doesn't address the fact that the current reference material that I'm paying you for contains claims that you are unwilling to justify. 3) If the justification for the claim is original research, I don't have a problem with you saying that it's original research and that I'll have to wait for the new book to read all about it. If you want to sell original research, that's your business, but at least be up front about it and tell me that rather than just telling me I'm wrong. 4) The big issue in this case, though, is that the justification is actually research done by someone else, which is freely available online. Further, the person who did that initial research isn't affiliated with the publication of this new book at all, as far as I can tell, so the OCW is essentially trying to profit from the freely available research of someone else. I understand that this new book doesn't hinge on this particular piece of research and that this bit of research forms a very small part of the book as a whole, but it doesn't change the fact that they are at least directly trying to sell me this new book based on someone else's work. 5) I'm not saying that you can't publish someone else's research in a book that you then charge money for. It happens all the time and it's OK. What I am saying is that when you do use someone else's research, you must properly cite them for it. Without a citation, the reader is invited to believe that the material being presented is from the author. If an author presents information knowingly taken from someone else's research and doesn't properly cite the original research, that's plagiarism. If they sell someone else's research as their own, that's theft. I understand that the entries in this new book will be immaculately cited and all referenced materials will be accounted for, but that doesn't change the fact that in the OCW, this information is not only presented without citations, but is sold without citations and when I asked for additional information, I was essentially told to buy another one of their products for access to the proper citation. "Having read your point about lack of sources in the Oxford Companion, I have to say that it would have involved just too much work to add in all the new sources that we have uncovered and referred to while working on the grape book (where ALL sources of DNA info are given, leading to an enormous bibliography). When we are next able to devote a few years to a full update of the Oxford Companion, I will certainly bear in mind the need for more sources for DNA assertions." "Too much work" is not a valid excuse for using other people's research without attribution, especially when people are paying you for that information. Look, I understand that in the grand scheme of things, this really isn't that big a deal. That doesn't change the fact that I think what the OCW has done in this case is wrong. The email from Julia specifically says "We can't give you all our scoops!" The implication here is clearly that this is something that they feel they have discovered and that they will be using their upcoming book as the vehicle to transmit this information. The fact of the matter is that this isn't actually a "scoop" at all. This information was originally published in 2006 by someone not affiliated with their publication, but they are claiming it as their own and are using it to try and drive up their own sales. I understand that they are in the publishing business and that selling books and selling online subscriptions is how they make their money. I do still subscribe to the online OCW, I have a hard copy of the book at home and I have pre-ordered their new grape book. My problem is that in addition to selling books, one of their implicit missions is, or at least should be, the dissemination of factual information to their subscribers and customers. Disseminating this information means being respectful of where the information came from in the first place and, whenever possible, giving proper credit to those whose findings you're incorporating into your own work. Part of this is giving proper citations within the work itself, but another part of it is providing these citations or references when a reader challenges something you've published. Just being the Oxford Companion to Wine isn't a suitable justification. Forcing a reader to purchase another work in order to obtain the proper citation is just mean. Treat not only the information itself with respect, but also treat your readers and your customers with respect. Don't treat information and knowledge like mere commodities and don't treat your readers merely as potential book sales or potential subscriber fees. Be honest and be nice. That's all. Generally speaking, the more obscure a particular grape is, the harder it is to research. Grapes like Roscetto, Casetta and Blatterle are excellent examples of grapes that are grown in minuscule quantities and which were virtually impossible to find any information on. All three of those grapes are Italian and were essentially brought back from the verge of extinction through the efforts of an individual producer, who is still essentially the only game in town as far as wines made from each individual grape are concerned. The story of today's grape, Nascetta, is very similar to the stories of the grapes mentioned above, and as I started my first line of research, it looked like I was going to be dealing with the old dearth of research materials problem again. None, and I mean none, of my print sources had any mention of the grape. The Oxford Companion to Wine, Wikipedia, Vino Italiano, Barolo to Valpolicella, The Wine Atlas of Italy and Oz Clarke's Grapes and Wines were all blank on the subject of Nascetta. My second line of attack if primary sources fail me is to see what Google can turn up. I wasn't expecting to find very much, but I got quite a surprise as I shuffled through the search results. It turns out that there are a lot of really excellent pieces online already about the Nascetta grape, from Evan Dawson's piece in Palate Press to Do Bianchi's bit on the history of the grape's name, to MW Christy Canterbury's piece on the grape posted only a few days ago. I'd encourage anyone really interested in the grape to check out any of those links, as all are full of really great information. Most of what follows is taken in some form from those pieces and a handful of others (which will be referenced in turn). The phrase "technically satisfying but economically burdensome" could be the epitaph for an untold number of grapes. 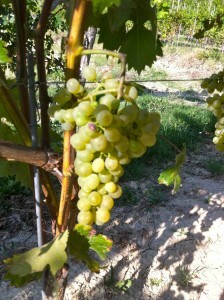 As you can see from the picture above, Nascetta's bunches appear to be pretty small and small bunches don't give much juice. Couple these low yields with its temperamental behavior in the vineyard, and you've got a perfect recipe for a slow decline into oblivion. As with so many other grapes, after phylloxera wiped most of the Nascetta plantings out, few producers were willing to replant the grape and opted for less finicky, higher yielding varieties instead. The grape didn't die out completely, though, as a few farmers held on to a few stray vines and made wines from them for their own personal use. In 1991, Valter Fissore, winemaker at Elvio Cogno, tried one of these wines from the 1986 vintage made by a man named Francesco Marengo. Valter was so impressed that he devoted some land to the grape himself (it's unclear whether he received cuttings from Marengo or from the collection at the nearby University of Torino), and in 1994 bottled 800 bottles of Nascetta from his own plantings. He called the wine "Nas-cetta," but was fined by the Italian wine authorities for including an unauthorized grape name on his label, as Nascetta was not recognized at the time as an approved variety (and they didn't believe that the hyphen was sufficient to mask what he was obviously trying to do). The grape was added to the listing of approved varieties for the Langhe region of Piemonte in 2000, so any wines made prior to that time had to be labeled as vino di tavola. The change in 2000 meant that Nascetta grapes could be used in Langhe Bianco DOC wines, but the grape name still couldn't be mentioned. In 2004, Valter begins to bottle his Nascetta under the Langhe Bianco DOC under the fantasy name of “Anas-cëtta” in order to dodge the naming regulations. After substantial lobbying, the grape name Nascetta was allowed onto the label of Langhe DOC wines starting with the 2010 vintage (the wines can be labeled Langhe Nascetta DOC rather than Langhe Bianco). When I bought my bottle of Nascetta, Joe over at Curtis Liquors told me that he was told that Nascetta was essentially just a local clone of Vermentino and wasn't necessarily its own grape variety. A handful of other sources online indicate that there may be some kind of relationship between Vermentino and Nascetta, but no one is clear on what that relationship might be, or even what their reasons are for postulating such a relationship. Do Bianchi does mention that Nascetta was frequently blended with Favorita (which is another name for Vermentino, it turns out) in Piemonte in the 19th Century, but I don't see anything else that would indicate a relationship between them. Since I can't find any studies dealing with DNA analysis of Nascetta grapes and since the VIVC has its own entry for Nascetta separate from Vermentino, I'm going to believe that it is a distinct variety until I see some genetic evidence to the contrary. I was able to find a bottle a bottle of the 2007 Cogno “Anas-cëtta” from my friends at Curtis Liquors for about $25. In the glass the wine was a fairly deep gold color. The nose was moderately intense with fresh cut green apple fruit along with almonds, honey and something vaguely woody. On the palate the wine was on the fuller side of medium with fairly high acidity. It was cidery with some granny smith apple fruit, dried sage, and almonds. About 30% of the juice for this wine is aged in large, neutral oak barrels in contact with the lees for several months, and there was something slightly leesy and dairy-ish about this wine, though it was subtle and pretty well integrated. Overall I felt that this was a bit washed out and maybe a little over the hill, but many, including Valter Fissore who made this particular bottle, seem to believe that Nascetta can age for up to ten years or more. It's hard for me to believe that this wine will improve for another five years given how it's showing right now, but without having tasted a decade-old bottle, I guess I can't weigh in authoritatively either way. I had initially planned to write about all of the great (and not so great) grapes of Madeira in a series of posts that would all be published in a week or two. My drinking schedule hasn't allowed for that to happen, though, so rather than sit on some of these notes for an excessive amount of time, I've decided to go ahead and jump right into this new Madeira project by taking a look at the Sercial grape. Before we get to the grape itself, let's take a moment to talk about what Madeira is. Madeira is the name of the largest island in a series of islands ("The Madeira Islands," which are an archipelago, technically) about 600 miles off the western coast of Portugal and about 500 miles north of Africa. This location made Madeira a prime stop on many shipping routes starting around the 16th Century, which meant that the merchants on the islands had access to any of the areas that these merchant ships were sailing to. Additionally, when ships stop, they generally have to load up on provisions for their crew and one of the most important provisions for long sea voyages was wine. The major problem with transporting wine from the island was that there was no refrigeration for cargo way back then so barrels of wine could end up sitting in a cargo hold for several months. There is no shade on the open ocean so the sun would beat down on the decks and heat the holds below which often spoiled the wine. The earliest wines made on the island of Madeira were regular table wines which were unable to survive this kind of treatment. In an effort to preserve the wines during shipment, many merchants began to fortify the wines with brandy as higher alcohol levels allowed the wines to withstand these extreme conditions. The wines still cooked, though, but many were starting to realize that these cooked wines were actually pretty tasty in and of themselves, and there began to be a premium on wines that had stayed on ships for longer periods of time and aged rather than for wines that were aged at the estates. Into the early 20th Century, casks of Madeira wine were still sent on long sea voyages in order to age them properly. The island of Madeira was pretty much the last stop for ships sailing from Europe to the colonies in the new world that would eventually become the United States. Not only that, but the long sea voyage across the Atlantic was actually beneficial rather than detrimental to these wines, and the colonies began to develop a particular taste for the wines of Madeira. Despite the best efforts of many farmers (including Thomas Jefferson), European grapes continued to die within a very short of being planted in the US and importing wines from Europe was the only option for those who couldn't stomach the taste of the wines made from native America grapes. The confluence of these factors contributed to Madeira's popularity in the colonial states which continued into the early days of the United States's establishment as a nation. Upon ratifying the Declaration of Independence in 1776, the authors and signatories toasted the document with Madeira in celebration. Madeira's popularity held strongly until 1851, when the first of several waves of catastrophes struck the island's wine industry. In 1851, Powdery Mildew struck the island and nearly eradicated the entire island's vines in less than three years. Powdery Mildew spreads fastest in densely planted vineyards in hot, humid conditions, which pretty much described Madeira's vineyard layout and climactic conditions to a T. A French scientist discovered that the application of sulfur to vines was effective in preventing Powdery Mildew, but by that time a good deal of the vineyards of Madeira had succumbed. Much of the land was replanted, but in the 1870's, phylloxera arrived and decimated the vineyards yet again. The solution of grafting onto native American rootstocks wasn't discovered for another ten years, and in the interim many growers simply gave up and planted their land over to sugarcane. Others elected to simply plant hybrid vines or native American vines and abandon the traditional grapes altogether. As soon as the island's wine industry began to recover from this blow, two more calamities struck. These calamities didn't affect the vines or the wines on the island itself, but rather wiped out two of Madeira's major export markets. The first was the Russian revolution of 1917 which removed the Russian Tsar and put that country on the road to communism, a political-economic system where luxury goods like expensive Madeira are frowned upon, to put it mildly. The second event was the enactment of Prohibition in the United States, which completely shut down the US as an export market virtually overnight. It is difficult to say whether the Madeira market could have recovered from any one of these hits, but to have all four of them happen within a 70 year span proved to be too much. Many of the bottlers and shippers closed but many others consolidated into larger firms. There were more than 30 firms who shipped Madeira in the late 17th Century and that number has dwindled to six today. The wine I'd like to take a look at today is from a grape called Sercial, and for many years, the word Sercial referred more generally to a style of Madeira rather than the grape it was made from. Madeira has historically been made from four different grapes: Sercial, Bual, Verdelho and Malmsey, all of which we'll eventually get to in future posts. Wines made from Sercial tended to be the driest while those made from Bual were a little sweeter and those made from Verdelho were a little sweeter still until you got to Malmsey based Madeiras which were the sweetest of all. What eventually happened was that the grape names came to represent the style of the finished wine and stopped being a reliable indicator of which grape was used. Sercial became a generic term for a fairly dry Madeira regardless of whether the wine contained any Sercial grapes or not. The EU has changed all of this with a recent mandate that requires that any bottle of Madeira that mentions a grape variety must be comprised of at least 85% of the stated variety. The Sercial grape is grown mostly on the southern end of the island of Madeira, though it is also cultivated to some extent on the Portuguese mainland as well. It is known as Esgana or Esgana Cão in the Vinho Verde region, where it is not particularly prized. 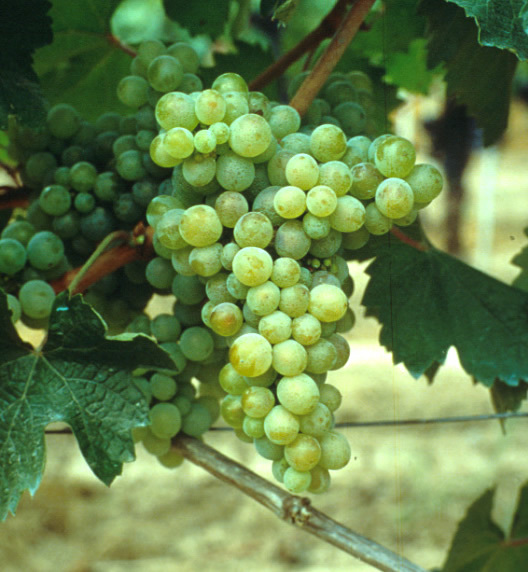 The Vinho Verde website proclaims that the grape is "productive, [and] produces wines with oxidation tendency, bitter and without quality." Despite this proclamation, the grape is prized by Madeira growers because it ripens much later than the other Madeira grapes and keeps its acidity throughout the ripening process, which is a huge advantage in a climate as warm as that of Madeira. Most of the Madeiras that I was able to try were in the Rare Wine Co's Historic Series. These are non-vintage wines that are named for early American port cities on the east coast. The Rare Wine Co. was attempting to create "affordable Madeiras that reflect the style and complexity of the great vintage wines...that would express true varietal character and display the traits of vintage Madeira." The first wine in this series that I tried was the Charleston Sercial, which I picked up from Gordon's Fine Wine and Liquors for about $40 (Curtis Liquors also has some of this in stock as well). In the glass this wine was a medium tawny brown color. The nose was moderately intense and very nutty, like freshly roasted walnuts or pecans. On the palate the wine was medium bodied with very high acidity. There were flavors of tangy green apples, roasted walnuts, caramel and burnt sugar. It was definitely a little sweet, but really tasted more off-dry as a result of the extraordinary acidity. This wine was much lighter and more graceful than I was expecting and was really a lot of fun to drink. The acidity is really bright and electrifying and carries the entire weight of the wine effortlessly. Maybe when I get my next raise I'll go searching for a vintage Sercial but in the meantime, this is a nice, affordable alternative that is very delicious.